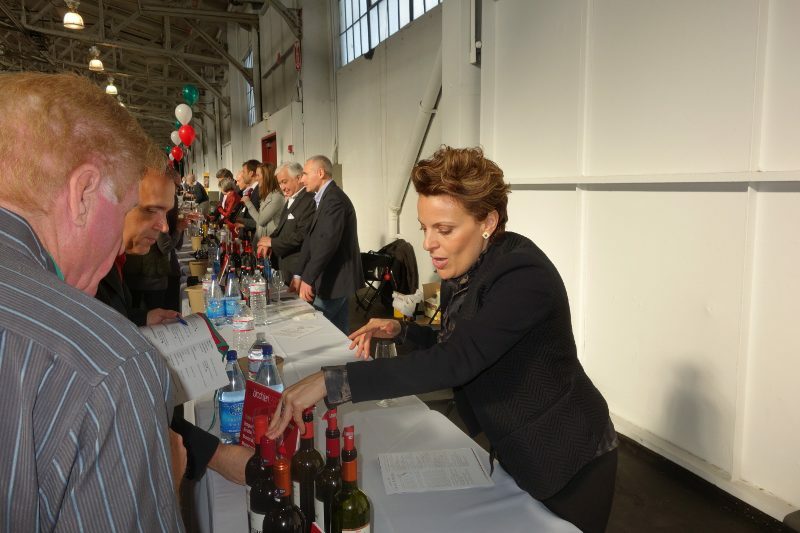 Each year the Tre Bicchieri tour comes to the US to showcase the best wines from Italy. 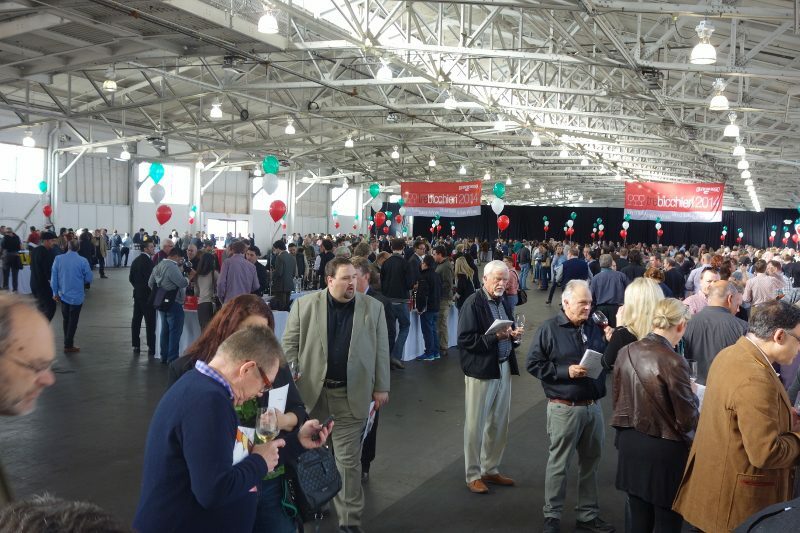 So, I flew up to San Francisco for this year’s tasting as it is a great opportunity to taste some of the best wines from Italy all in one place! 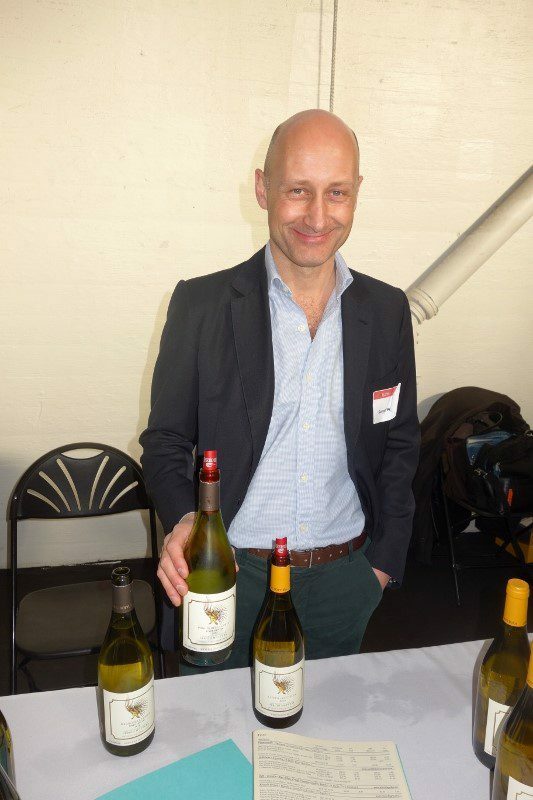 Gambero Rosso, an Italian food and wine magazine founded in 1986, publishes the annual Guida Vini d’Italia. 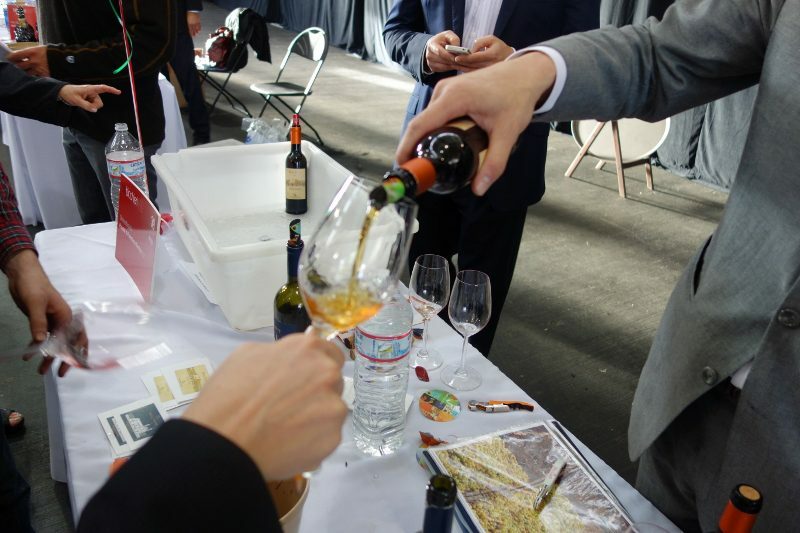 The wine ratings are based upon blind tastings by independent experts. 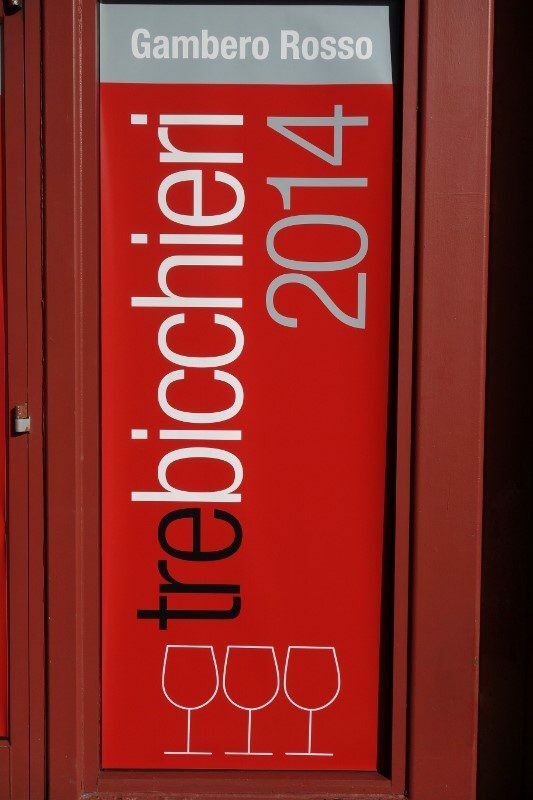 Ratings are built up on the number of glasses (or bicchieri) awarded to a wine. This is then indicated in the wine guide with a number of stylized glasses next to the wine’s name. 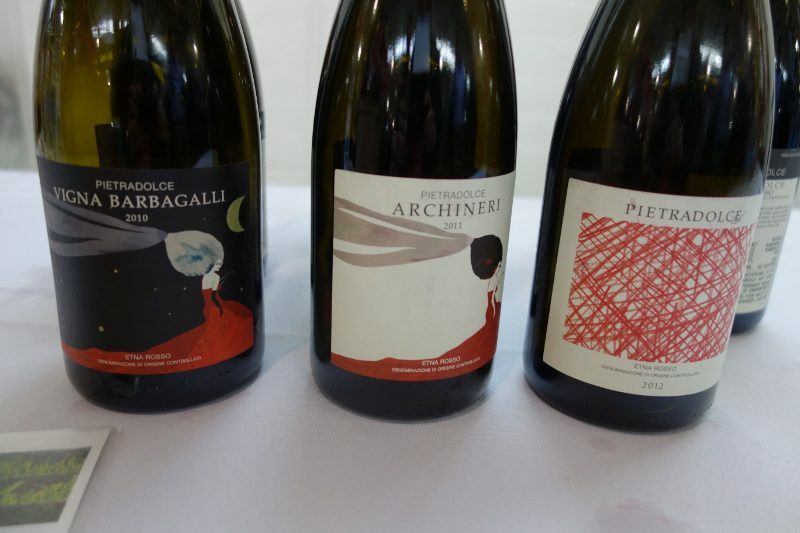 The highest rating is Tre Bicchieri (three glasses). Three glasses indicate “extraordinary wines”. Two glasses indicate “very good wines”. 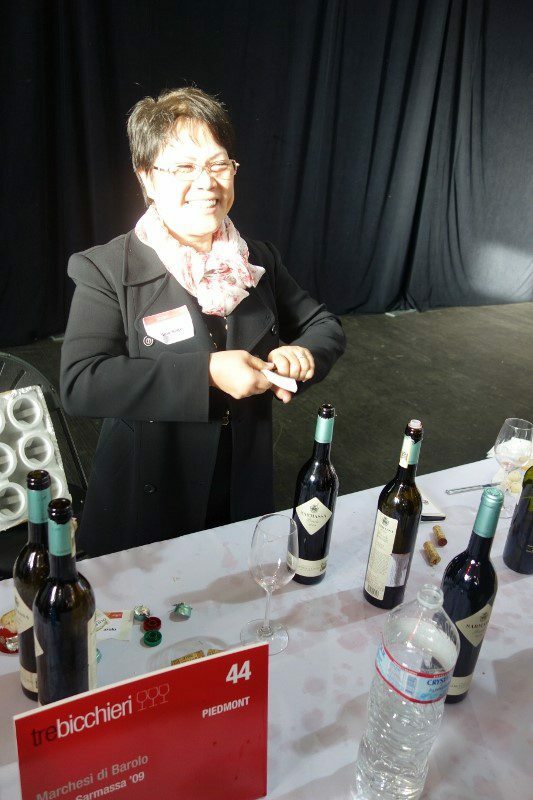 One glass indicates “good wines”. 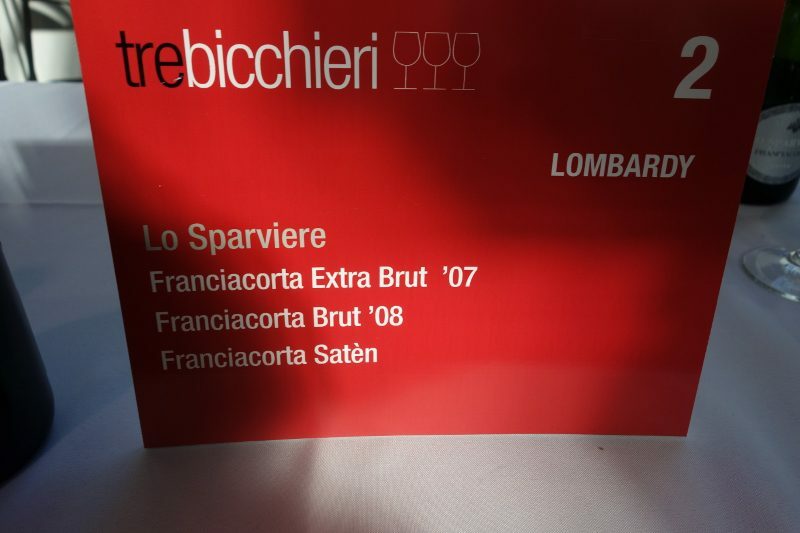 Lo Sparviere Franciacorta Extra Brut 2007 (100% Chardonnay, 5 years sur lees) – This sparkling wine is rich and elegant with notes of citrus and floral, as well as vanilla. 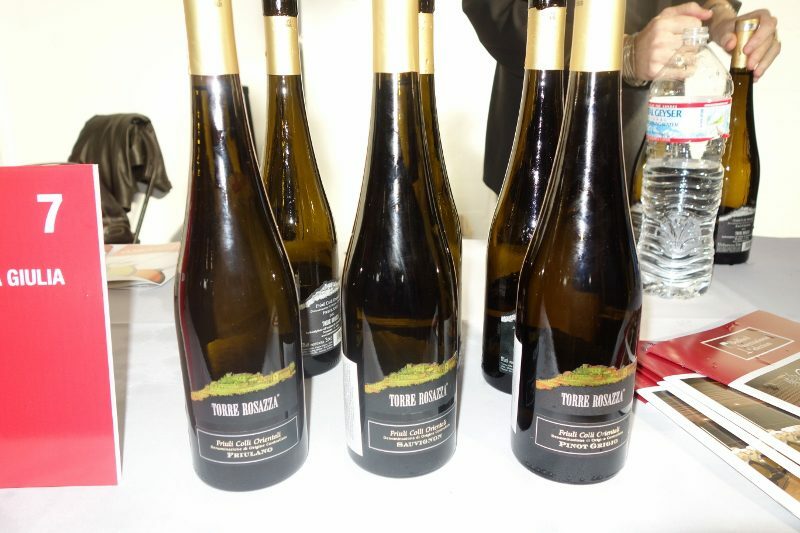 Creamy on the palate, the wine has flavors of lemon curd and peaches and a long finish. Torre Rosazza COF Pinot Grigio 2012, Friuli Venezia Giulia – A bright, fruity nose with aromas of green apple, pear and stone fruit, the wine has medium intensity and good acidity on the palate. Elena Walch A.A. Gewurztraminer Kastelaz 2012, Alto Adige – With a fruity and floral nose, the wine is rich on the palate and tasted like the grapes were freshly picked from the vine and placed directly into my glass. Sergio Mottura Poggio della Costa 2012, Lazio – Full and fruity, this wine has a big floral nose and will leave your palate feeling refreshed. 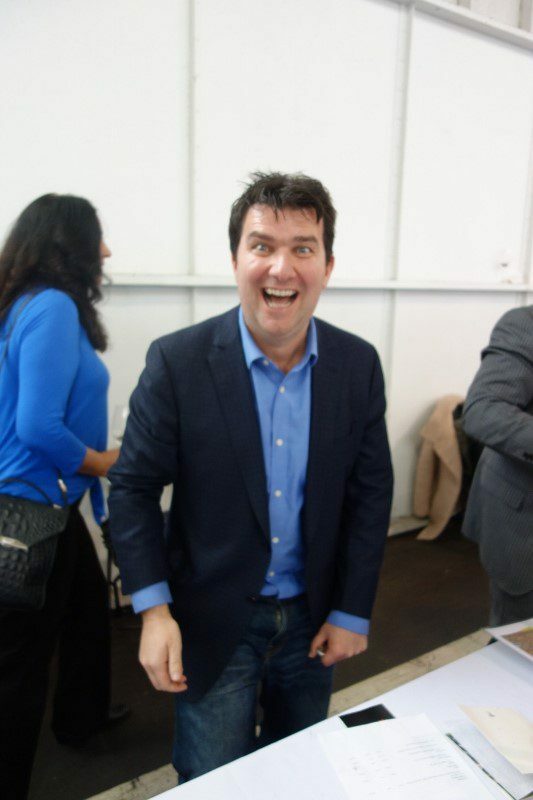 Leonildo Pieropan Soave Cl. 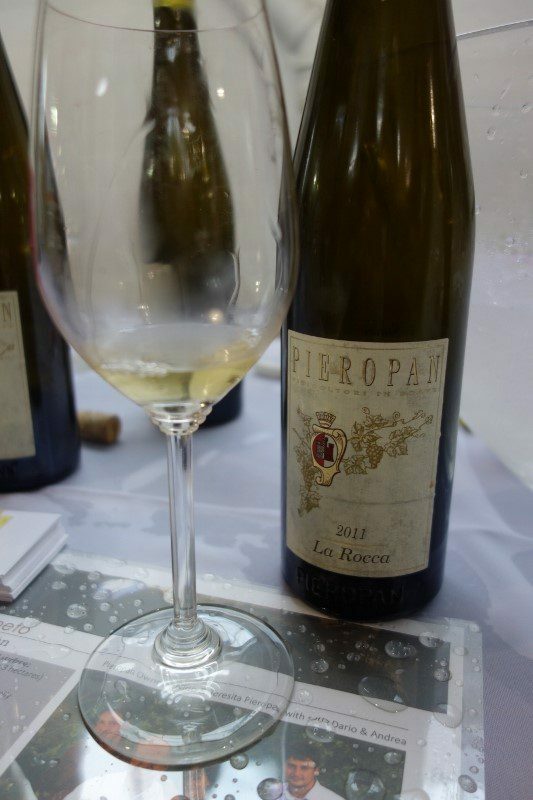 La Rocca 2011, Veneto – Coming from a single vineyard, this wine is not made every year so it was a special treat to try the 2011. 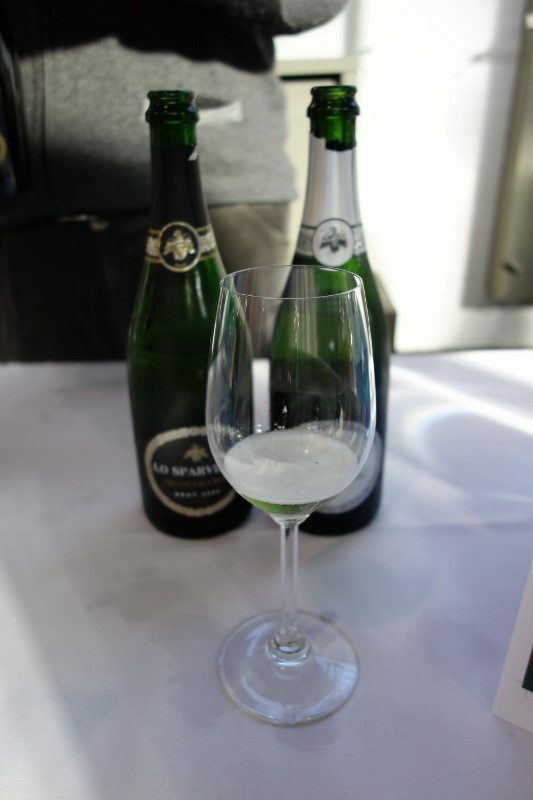 The nose is made up of floral perfumes and the structure is balanced and full with a long finish. 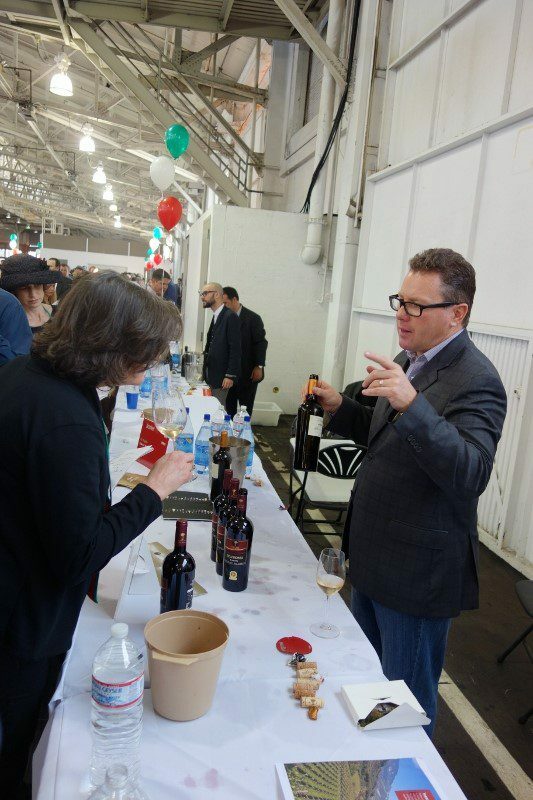 Pietradolce Etna Rosso V. Barbagalli 2010, Sicily – This full bodied wine comes from 110 year old vines sitting an at elevation of 3000 feet above sea-level. The floral notes, such as lilac, are in balance with the earthiness. 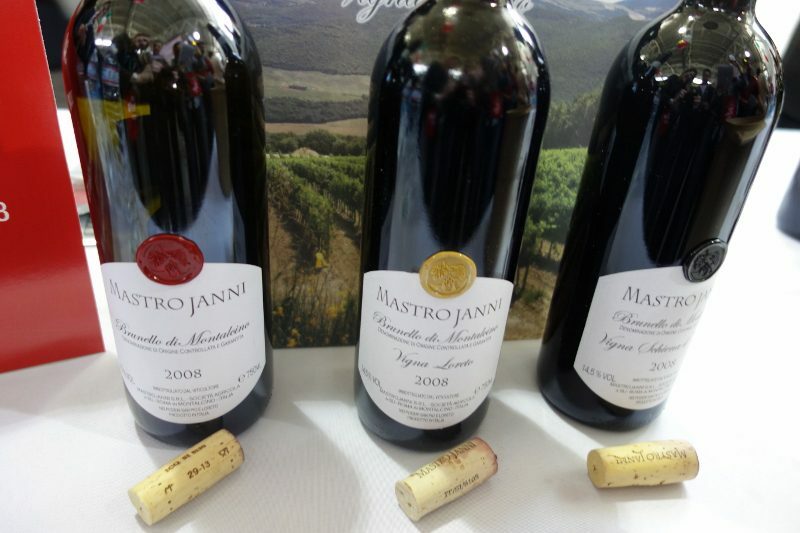 Mastrojanni Brunello di Montalcino Schiena d’Asino 2008, Tuscany – This wine, with notes of red cherries and dried herbs, is complex and offers a lot of depth beneath the fruit notes. 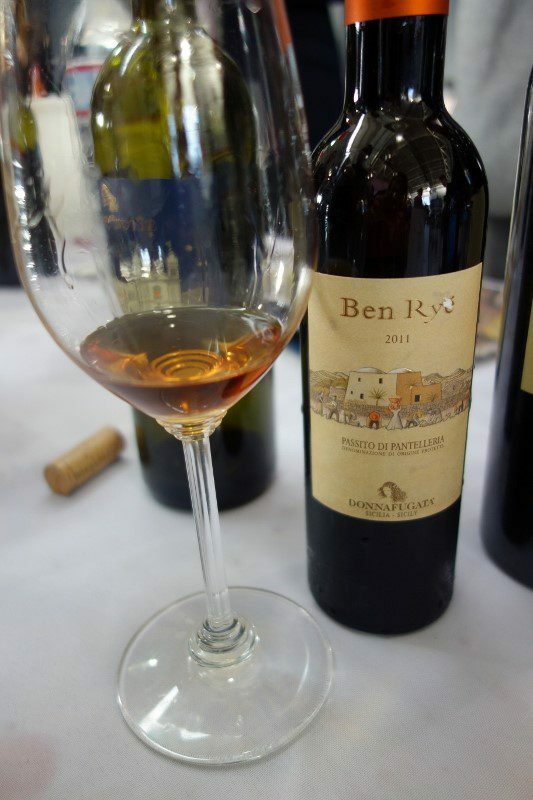 Donnafugata Passito di Pantelleria Ben Rye 2011, Sicily – This sweet dessert wine is rich with aromas of peach and great acidity on the palate, making for a balanced experience of flavors. 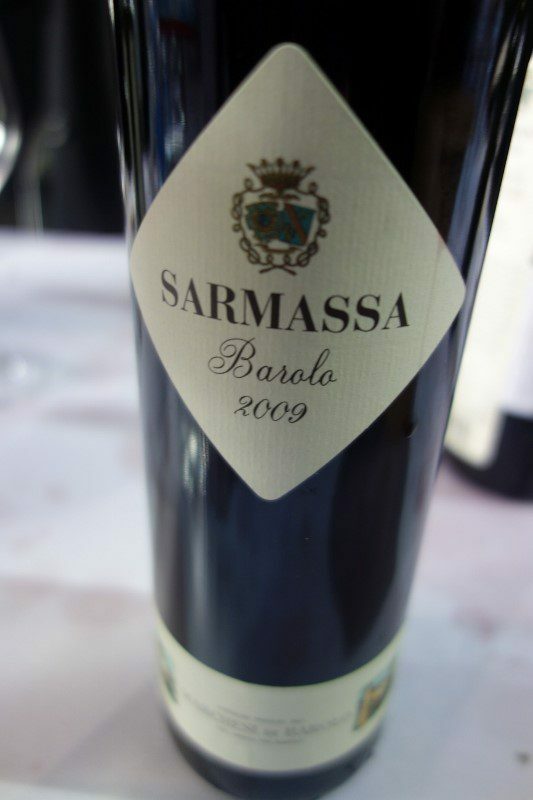 Marchesi di Barolo Sarmassa 2009, Piedmont – An elegant, full-bodied wine with aromas of roses, vanilla and spices, it was beautiful both on the nose, and the palate. 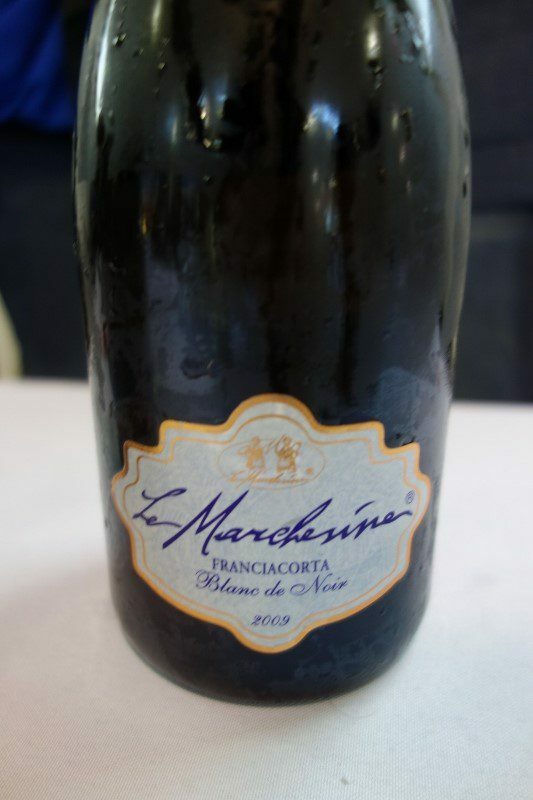 Le Marchesine Franciacorta Brut Blanc de Noir 2009, Lombardy – This pale pink 100% Pinot Noir sparkling wine has a brightness and fruity aroma that jump out of the glass. 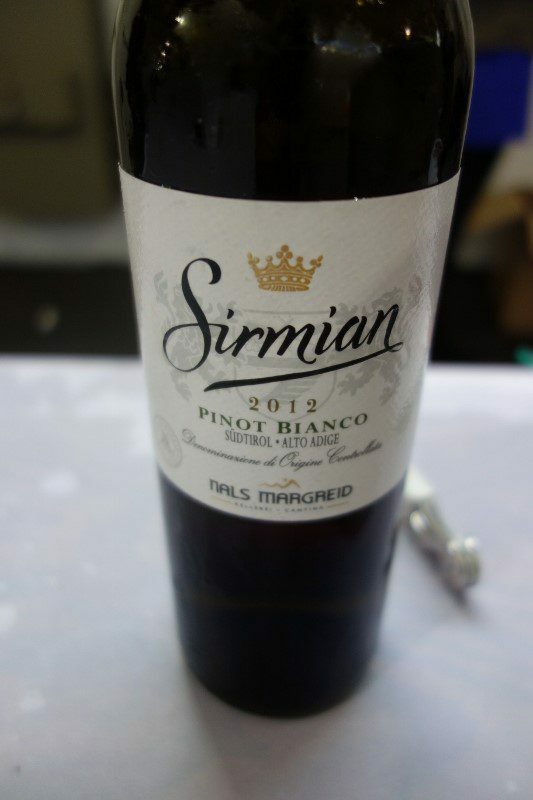 Cantina Nals Margreid A.A. Pinot Bianco Sirmian 2012, Alto Adige – This Pinot Bianco is a single vineyard wine with crisp, bright and fruity citrus notes. Cantine Due Palme Salice Salentino Rosso Selvarossa Riserva 2010, Puglia – A blend of Negroamaro (90%) and Malvasia Nera (10%), this deep ruby red wine had aromas of vanilla, jam and tobacco and on the finish tasted like milk chocolate powder. Ca’ Rugate Soave Cl. 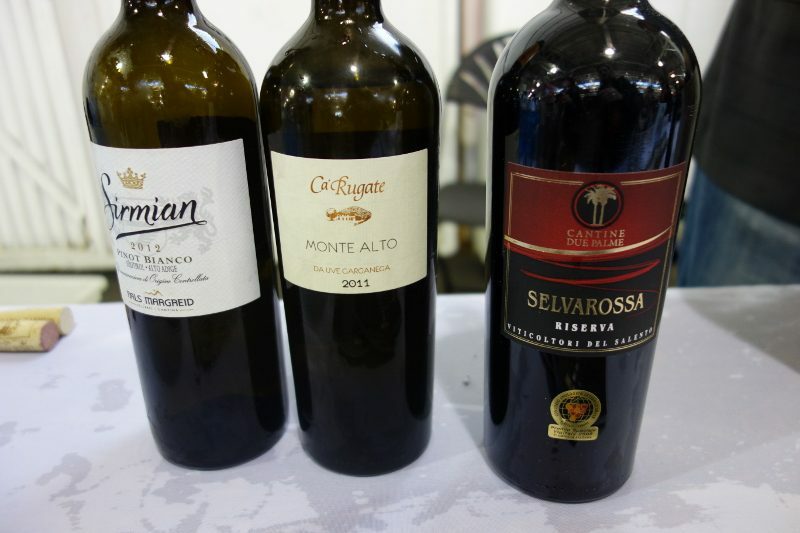 Monte Alto 2011, Veneto – From the aromas to the taste, this wine make me say WOW! 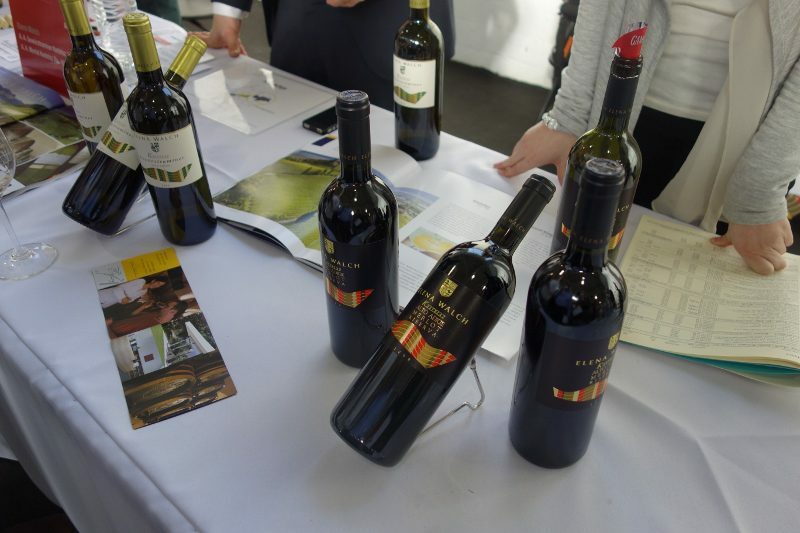 Made from 100% Garganega, the wine has aromas of ripe fruit, wild flowers and almonds. 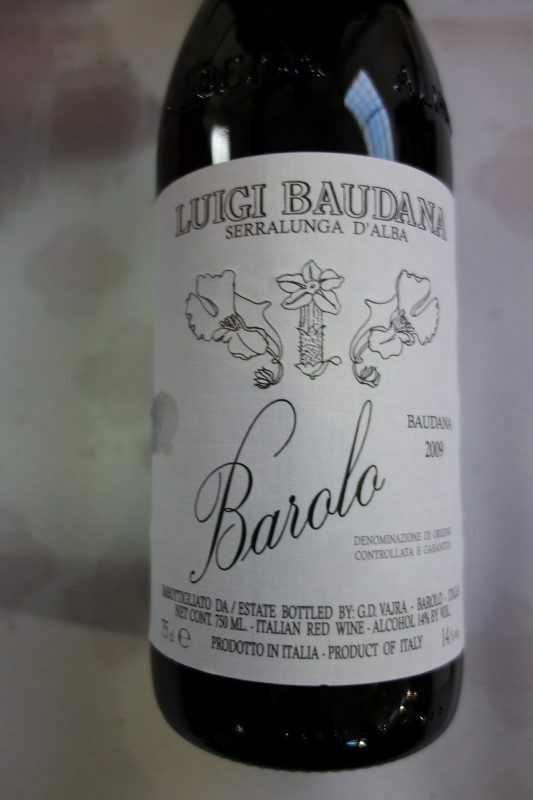 G.D. Vajra Barolo Baudana Luigi Baundana 2009, Piedmont – A full bodied wine with notes of dried rose petals, leather and cherries, there is a lovely mineral finish complimented by acidity. 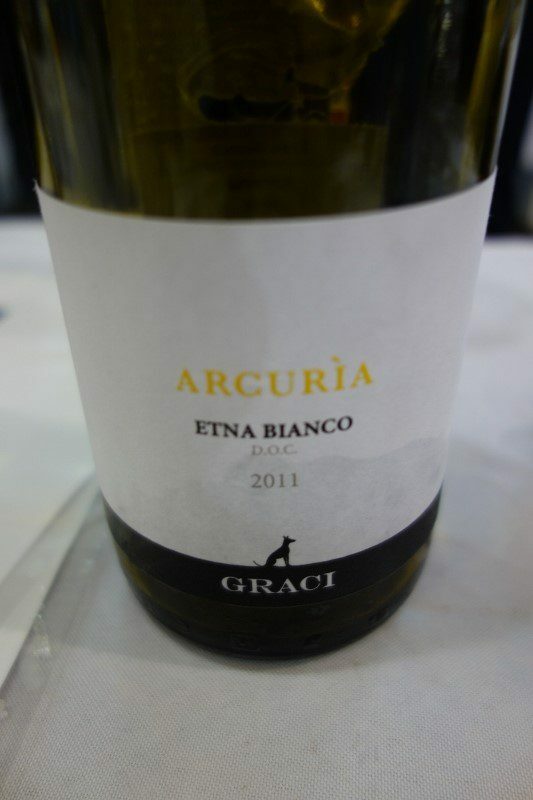 Graci Etna Bianco Arcuria 2011, Sicily- This is the first vintage of the Etna Bianco and is unique in its minerality, with notes of juicy peach and apricot that give this wine a lovely balance. 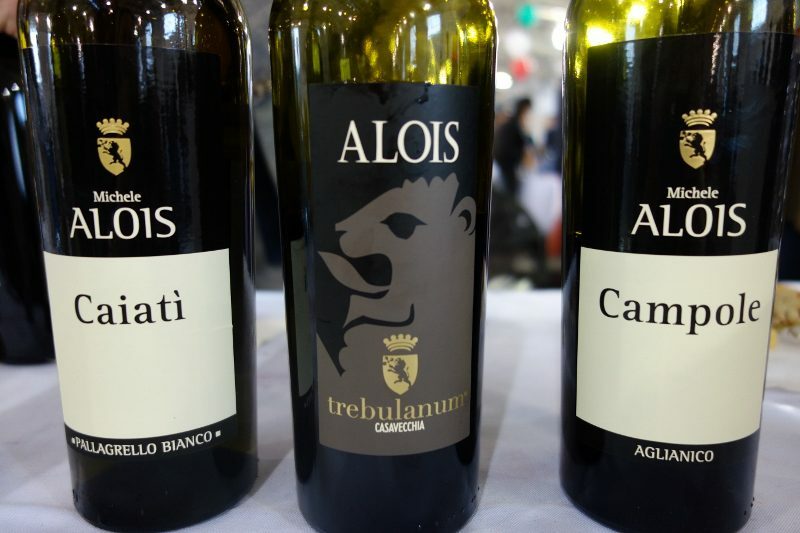 Alois Trebulanum 2010, Campania – This rich red wine made from Casavecchia, one of Campania’s rediscovered ancient varieties, is bursting with flavor and has notes of bacon fat, licorice and smoke. 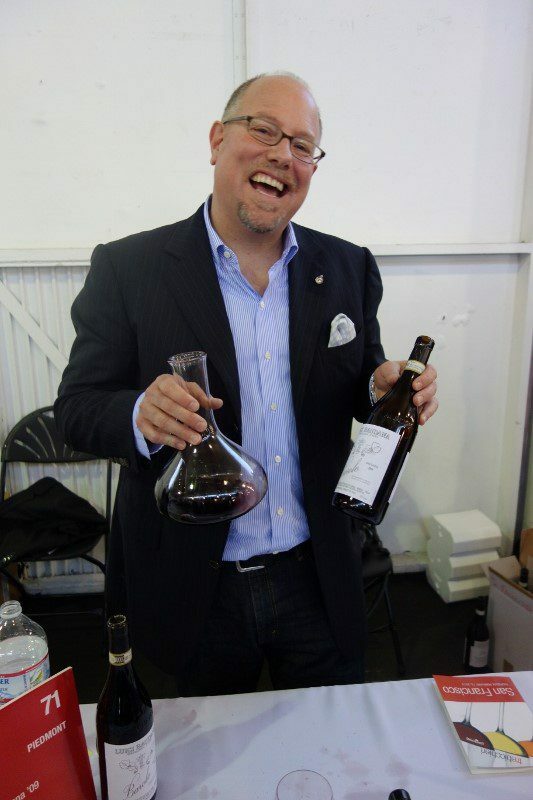 In addition to all of the great wines, the other fun thing about the Tre Bicchieri tasting is seeing so many friends! 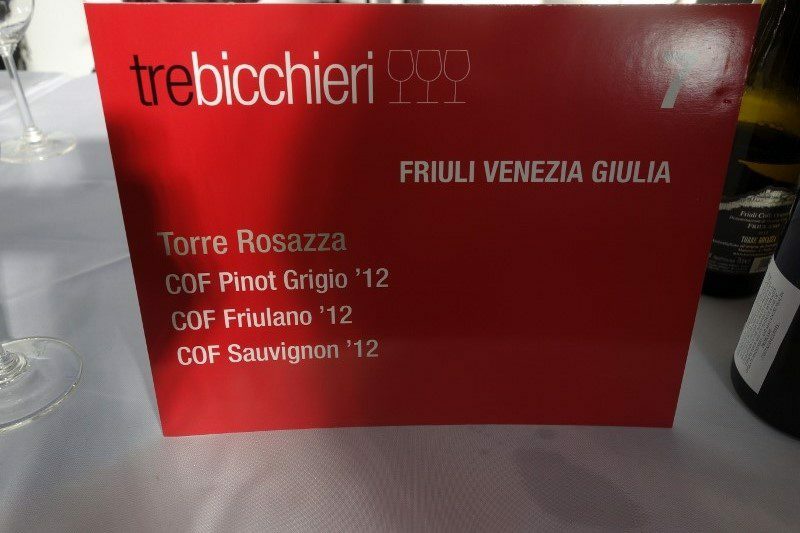 This entry was posted in Wine and tagged Franciacorta, Fruili Venezia Giulia, Gambero Rosso, Guida Vini d'Italia, Lo Sparviere, Lo Sparviere Franciacorta Extra Brut 2007, Torre Rosazzza, Torre Rosazzza COF Pinot Grigio 2012, Tre Bicchieri by Allison Levine.